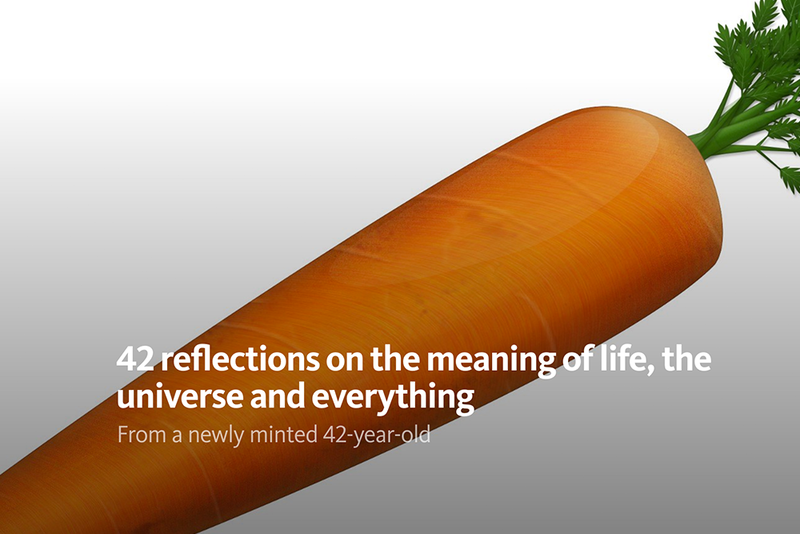 I was counting on my 42nd birthday to enlighten me about life, the universe and everything. Or anything. But until that happens, this is all I’ve got. People say age is just a number, and I suppose that’s true, but it’s a number that tells you roughly how far you are from death. On a wall at home I have a New Yorker cartoon by Bruce Eric Kaplan. Two cows are in a field and one is saying to the other, “I suppose if I’m really honest with myself I’m not totally fine about being slaughtered.